With boys in the house we always have alot of action figures and animal figures. I was excited to try out a few of Safari Ltd's figures. Here is what I was sent. 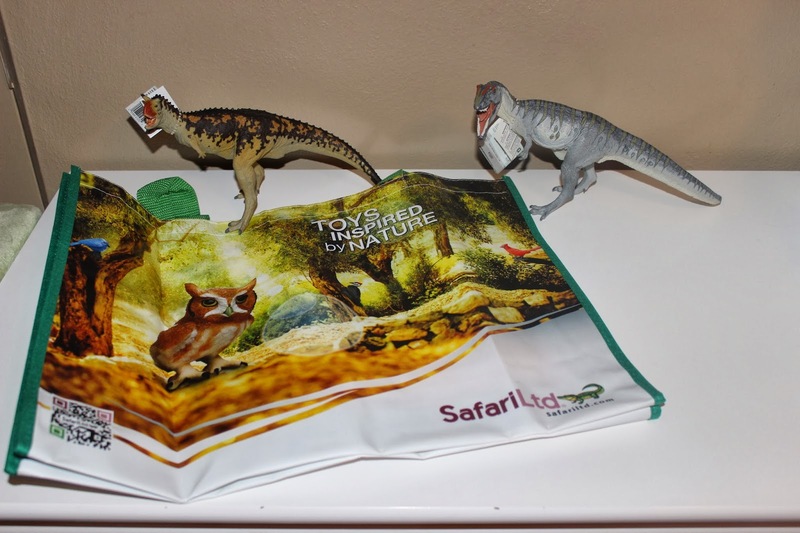 I was sent a reusable bag and 2 of their Dinosaur Figures. First is Carnotaurus which retails for $22.99. Carnotaurus lets loose a tremendous roar as it springs into action. This 1:30 scale replica from Safari Ltd® features an attractive speckled camouflage pattern and was designed to reflect the latest scientific research. Like all Carnegie Dinosaur Collectibles, this model is authenticated by the paleontologists at the Carnegie Museum of Natural History, home of one of the world’s largest collections of dinosaur fossils. Each Carnegie Dinosaur Collectible is individually hand painted, resulting in vivid designs that appeal to all imaginations. The scale of the collection ranges from 1:10 to 1:65. 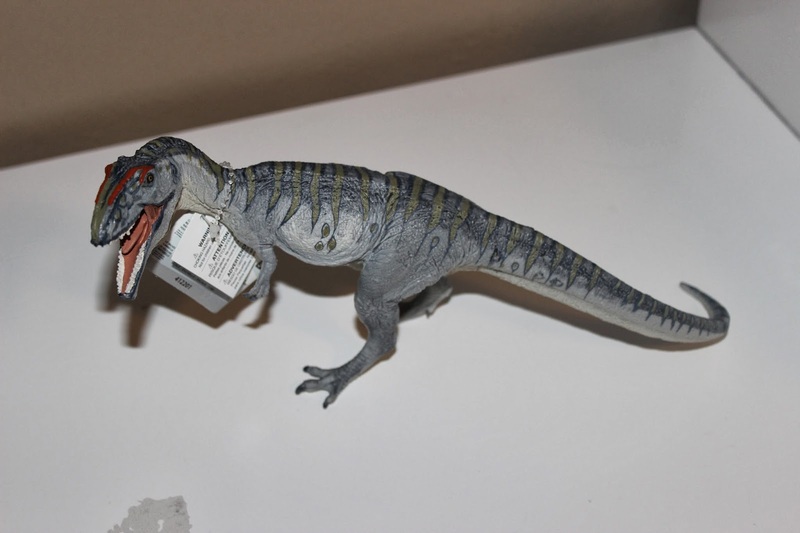 The other one I received is Giganotosaurus and it retails for $17.99. Tyrannosaurus rex has a little competition for biggest carnivore. Make that a lot of competition, as paleontologists now believe Giganotosaurus was longer. This 1:40 scale replica from Safari Ltd® features impressive striped coloring and catches this Cretaceous era hunter in mid-roar. It was designed to reflect the latest scientific research. 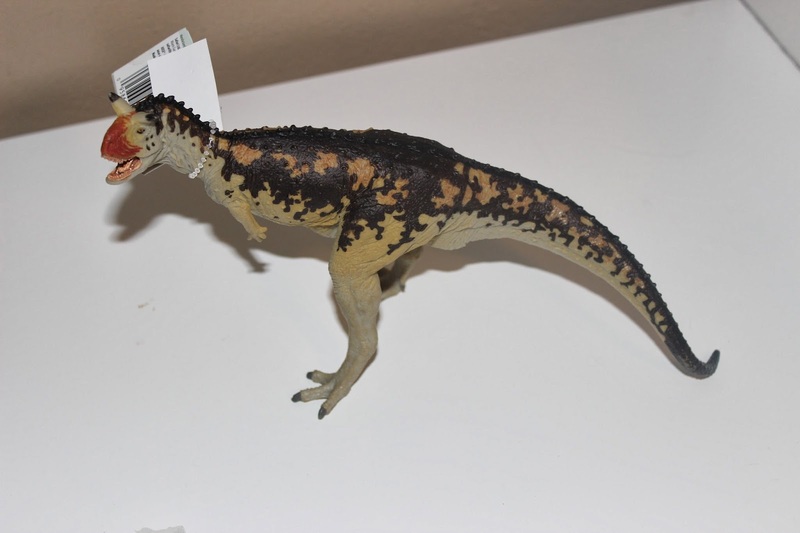 Like all Carnegie Dinosaur Collectibles, this model is authenticated by the paleontologists at the Carnegie Museum of Natural History, home of one of the world’s largest collections of dinosaur fossils. Each Carnegie Dinosaur Collectible is individually hand painted, resulting in vivid designs that appeal to all imaginations. The scale of the collection ranges from 1:10 to 1:65. These figures are super nicely made and are very sturdy. They are very detailed colored very well. Sarafi Ltd also carries a wide range of other figures such as farm animals, ocean animals, fantasy figures and more. These are great for imagination play and for ages 3+.